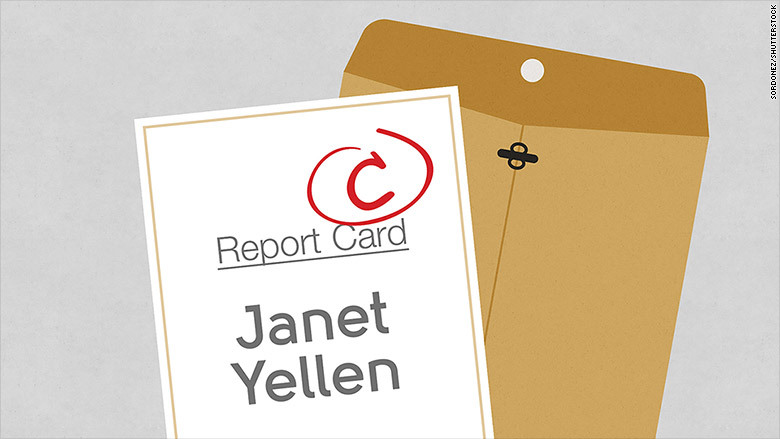 Federal Reserve chair Janet Yellen deserves a "C" on her report card. That's according to a CNNMoney/E*Trade poll of 1,000 active U.S. investors. These are people who pay close attention to the markets and have at least $10,000 in an online trading account. Investors aren't too pleased with Yellen and her Fed colleagues. They earned a grade of "C" from 42% of those surveyed. Another 25% gave Yellen a "D" or "F."
The poor marks are a reflection of how the Fed has left investors "dazed and confused" lately. For over a year, the Fed has been saying it would raise interest rates in 2015 off of their historic lows near 0%. Investors braced for this change, but like the boy who cried wolf, nothing happened. The stock market has been on a whipsaw ride since the Fed decided not to increase rates at its mid-September meeting. Despite a recent rally, the Dow and S&P 500 are still negative for the year. Market volatility is by far and away the biggest risk investors are concerned about, although nearly a third are also worried about a possible recession. Numerous Fed officials, including Yellen, have given speeches in an effort to calm the markets and clarify the Fed's view. It hasn't worked very well. 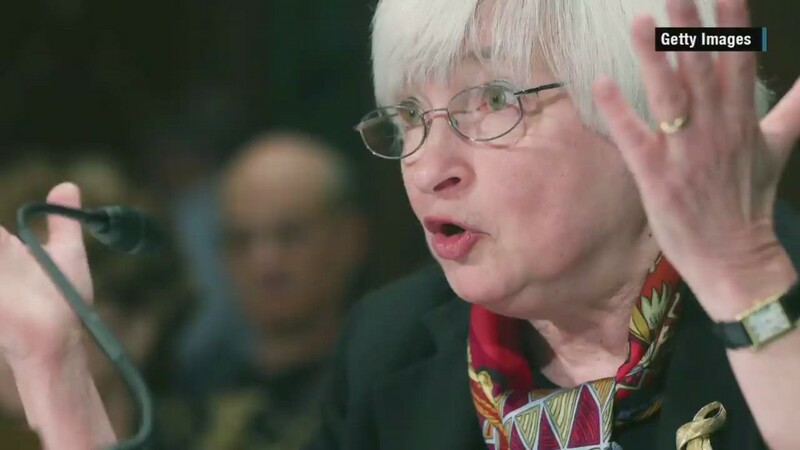 Fed leaders continue to say a rate hike in 2015 is a real possibility -- although they stress it's not a certainty. "We didn't raise the rate in September because we wanted to take time to appraise what had happened in China in particular," Fed Vice Chairman Stanley Fischer told CNN on Friday. In the CNNMoney/E*Trade survey, investors were asked when they think the Fed SHOULD raise interest rates. The highest response -- 25% -- was for October. The Fed's next meeting is October 27 and 28. But while the chorus grows for the Fed to act, most people think it won't change rates in October. In fact, many now think it won't even happen when the Fed meets for the final time this year in December either. Investors in the poll were evenly split about whether they thought the Fed would raise rates in December (27%) or January (23%) or March (19%). The poll was conducted between October 1 and October 6 with several questions exclusive to CNNMoney.